Our free team building activities will help to inspire and motive your team members. 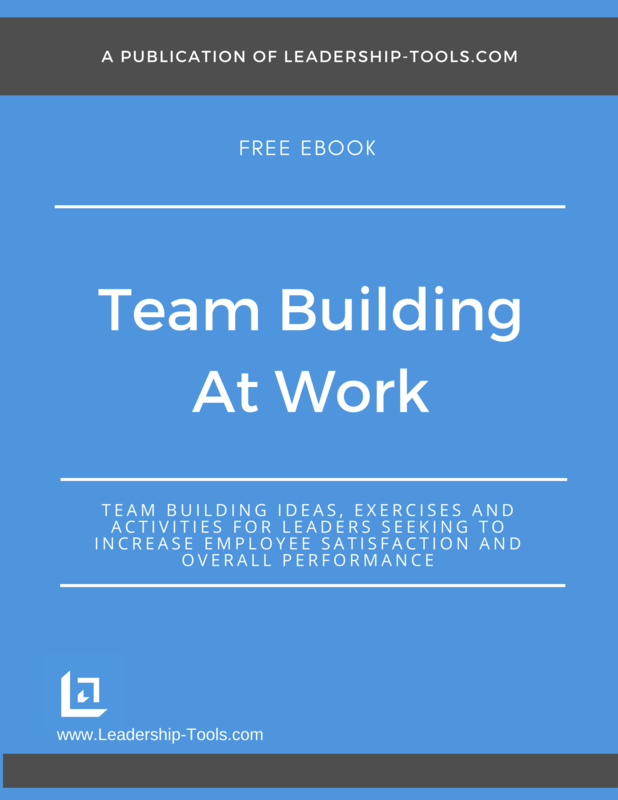 Team Building At Work is an eBook available for free download, providing powerful ideas to energize and engage team members. Enthusiasm, pure and simple, should be one of the most highly prized traits of your team members. A team member who is enthusiastic about his or her role provides a spark to the entire team to do more; to accomplish more; to become better. Enthusiasm is an opportunity for everyone to be a leader. One's ability to continually be optimistic and add positive energy to the workplace, is something every team member can do to set themselves apart from their peers. Energy and enthusiasm provides life to an otherwise lifeless team. We all need our spirits lifted from time to time. So, it makes perfect sense to assume that your team mates need to be taken away from their routine every once in a while, in order to rejuvenate and re-fuel themselves. "Enthusiasm is contagious and you want to be a carrier!" The great Oliver Wendell Holmes once said that "It's faith in something and enthusiasm for something that makes life worth living." That quote is so true, and as a leader you must do your utmost to assist the members of your team to realize that their individual role is something they can get excited about. 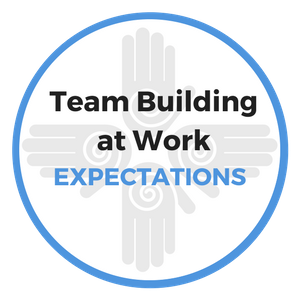 These free team building activities will assist you in helping your team to replenish their energy reserves. Purpose: To re-energize employees and provide fun solutions to workplace challenges and issues important to your team. Explanation: Leaders must constantly be looking for ways to refresh and renew the spirit of the workplace. Providing fun and creative ideas, through free team building activities, is most helpful when a team is experiencing a low point. The key to this exercise is getting your employees to see important situations in a different light in order to be more creative and enthusiastic about solving the problem. First, write down the challenge your team is facing on a flip chart. Next, ask everyone to come up with 2 or 3 ways to address the issue. Go around the room and ask everyone to share their initial ideas. Write them all down on the flip chart. Now, it's time to really start looking at things from a much different perspective! To facilitate some new thinking, you can utilize a variety of props. For example, provide each team member with a pair of cheap crazy looking glasses, like those big circus sun glasses you might see in a Dollar or thrift store. Ask everyone to put on their glasses, and inform the group that their new glasses have super powers. These glasses enable the wearer to think in new, wild and crazy ways. It will enable you to think so far out of the box, that you'll have a hard time seeing the box. Next, ask the group to take another shot at the same challenge. With no barriers or limitation, what other crazy solutions should the team be considering? Yes, the leader has to participate too! Don't be that leader who takes himself too seriously, it's time to lead in the fun. Put those glasses on and let your team see you be willing to look a little silly as well. Ask everyone to keep their glasses on as you hear the new ideas that come from the second round of wacky solutions. Direct your team to tackle the important task or issue at hand by considering options that they've never done before. Encourage them to come up with ideas that might even be uncomfortable to employ should you decide to use the idea. After all, it's when you're most uncomfortable, that you tend to learn and growth the most. Enjoy the laughs and the team building aspect of the exercise. Write down all the ideas and funny statements. After everyone has shared their ideas, take a vote on the more creative (whether you're going to use it or not) award a prize or two and have fun. You may discover through this exercise that sometimes the craziest idea is actually the best one to solve the problem. NOTE: If you don't like the above activity, simply take the spirit of what you are reading and create your own activity - be creative and do whatever it is that you think will be well received. We realize that not all of our free team building activities work for everyone and you know yourself and your group members better that we do. Above all, have fun. "If you won’t be better tomorrow than you were today, then what do you need tomorrow for?" Purpose: To support and maintain a positive, energetic working environment among all staff members. To raise confidence among the staff and help promote a sense of teamwork. Explanation: Everyone likes to be recognized and appreciated. To some extent they even expect that it’s the supervisor's job to do that on a regular basis. However, sometimes the boss can provide the opportunity for other team members to be the one to praise, recognize and reward their co-workers. This is one of our easiest and most effective free team building activities. All it takes is a little bit of planning, pencils and paper. Prior to your next meeting, perhaps during each of your weekly one-on-one coaching sessions with your team members, ask each employee to write down on a piece of paper something nice and positive about each of their co-workers. Instruct each employee to be brief in their description, while at the same time providing enough information so that their comments will be clearly understood, and hopefully will be meaningful. "People must know that for every opportunity missed because one is overly enthusiastic, you will miss a hundred due to a lack of enthusiasm." Ask each team member to hand these notes in to you before the next team meeting, and you will be collecting similar notes from other team members. As the leader your job is to sort through all of the notes, gathering the best comments into a small package for each employee. You might even want to wrap the package up with a nice big bow! At your next staff meeting, present the Bits O’Praise package to each employee. It’s not necessary to have people read theirs aloud. Simply have your team open and read their notes to themselves. Watch their faces. Watch their body language. Take particular note of how the mood of the room will lighten up as everyone is enjoying the gift of praise and recognition. You might begin a quick conversation with your team about how this gift made them feel, pointing out that each team member has the power to give gifts like this to other co-workers at any time. In fact, you owe it to each other to take the time to recognize co-workers when they do something important for the good of the team. Ask your people to be generous with their praise to each other, as it will come back to them in spades. Encourage your team members to look for opportunities and reward and recognize each other. Now, as free team building activities go, isn't this a great one? We think so. 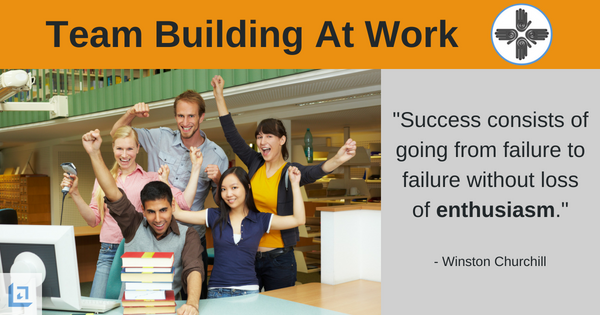 To download our Team Building At Work eBook for free team building activities, simply subscribe to our free newsletter. You will immediately receive a password that grants access to our entire leadership tools library.